✅ Verified Review | This was the first directly flight from Punta Arenas to Concepcion. 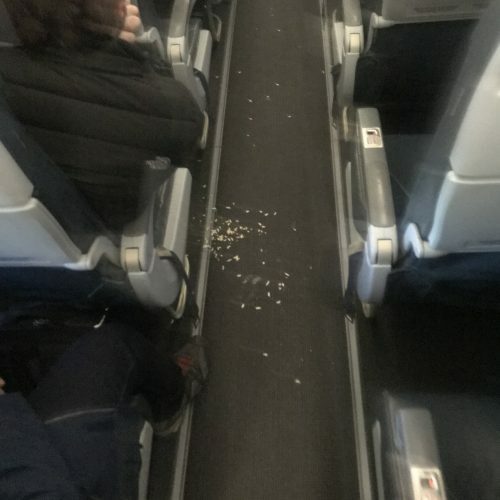 When I arrive to my seat it was very dirty, the floor, the tray table and also the seat cushion. After takeoff I went to the toilet. When I was walking I see the floor, it was terrible! I don't know what it costs them to clean. ✅ Verified Review | LATAM still needs to do more to recognise OneWorld elite members and business class passengers to become a premium airline, especially its domestic ground/airport staff. Services for OneWorld elite and business class passengers do not seem to be their culture. Flight from London to São Paulo was pleasant. The seat was not lie flat but comfortable. Old 2-2-2 layout. Food good. Nightmare started when landing in Sao Paulo transiting to Rio. 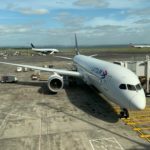 The LATAM connection line from T3 Int’l to T2 domestic had more than 300 people queuing, all coming from different morning flights, but there was no priority check in for business class passengers or OneWorld emerald members. The priority was for physically disadvantaged only. The ground staff was unhelpful. Passengers choked at this point but the staff was unable to advice or redirect us. In fact people can go to T2 for a short walk upstairs to check in there too instead of waiting at these connection desks between T3&T2 for 3 hours. Encountered similar situations for the next 3 more domestic flights again. The LATAM check in priority lanes for OneWorld elite members had no English signage and accepted all passengers. The check in at CGH domestic took more than an hour. The “preferential” boarding lanes were there but often not in use. 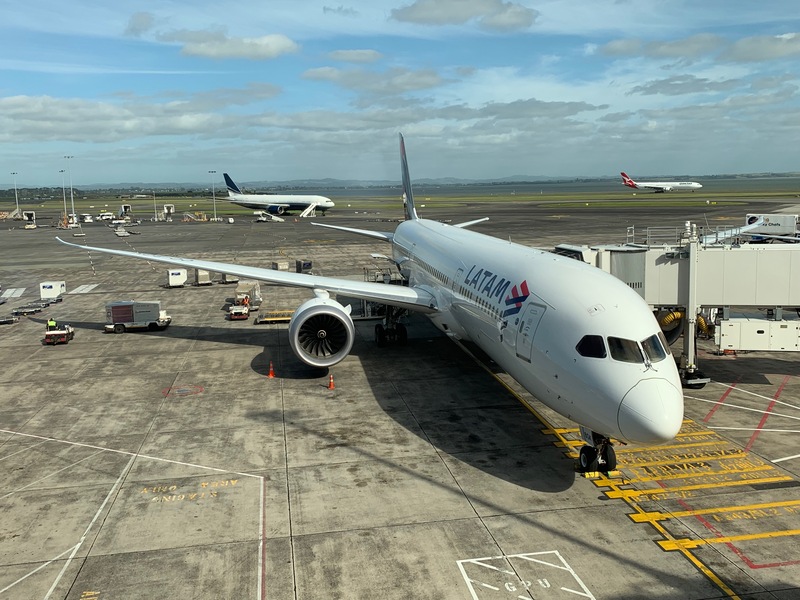 In spite of these observations, LATAM flights are generally very good and on time, and I have met so many amazing and helpful LATAM staff in São Paulo and Rio airports and in flights. 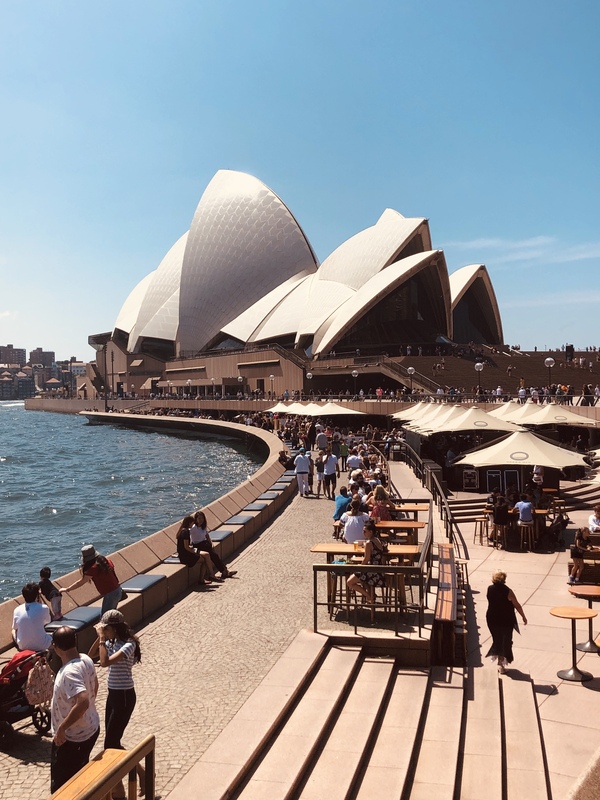 ✅ Verified Review | Sydney to Auckland. This has to be my best Business Class flight to date. From what I saw at Check In, it was slightly confusing for some passengers as there was no clear signs indicating where to line up, plus the Business queue took a bit longer then necessary. After I passed security and passport control, I went to the Qantas Business Lounge for breakfast. Flight did not depart until 11:10 am but we boarded 1 hour prior to departure. Once onboard, the service was incomparable to any Business Class service I've had to date. Crew were friendly and engaging. They offered to take pictures for me and I was the only passenger to be offered champagne. The 787-9 Business Cabin was spacious with plenty of room to move around, though I prefer a 1-2-1 layout, I think the 2-2-2 form was adequate for short journeys. 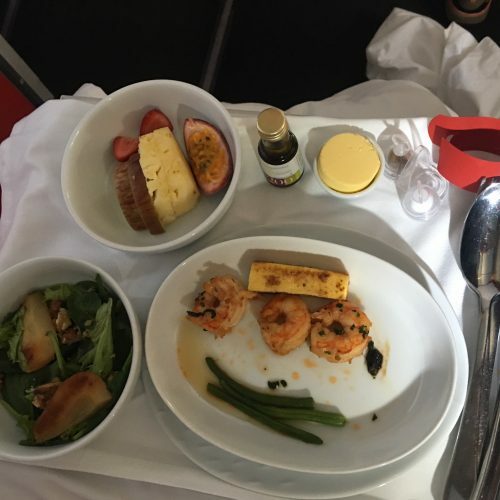 The food offered was above average and though I prefer a menu, I can understand that it was only a 2.5 hour flight and having one was not necessary. IFE was had good options but not on par with Qantas or Emirates. Overall, a great first experience with Latam plus the plane itself was very quiet which made the journey calm and relaxing. "had hoped fluency in English could be expected"
✅ Verified Review | Flew Sao Paulo to London Heathrow. I rather expected the flight attendants on a BA codeshare to be more prepared to speak English. After boarding a FA addressed me in rapid Portuguese and, when I asked for "English?" she simply shook her head and addressed the passenger in the seat adjacent to me. This seemed to be something relevant to our seating arrangements, so I was slightly uncomfortable at being shut out of the loop. 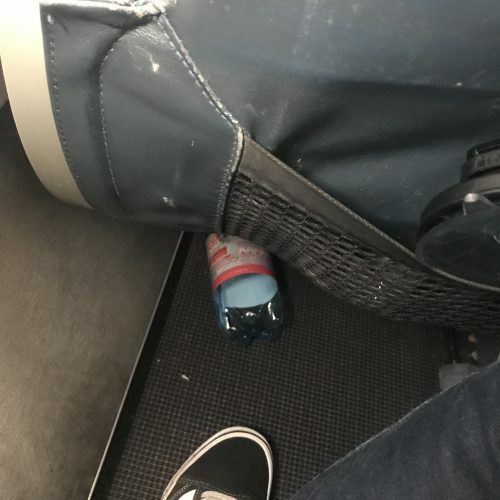 Later in the flight the same FA gave me water after I asked for "a glass of wine." I understand I was travelling from Brazil, but since British Airways had put their name to the flight I had hoped fluency in English could be expected. In our (mostly gesticulatory) communications the FAs were very pleasant, mind, and so I suspect this is more to lay at OneWorld/BAs door than LATAMs. 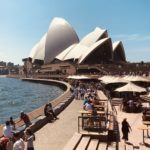 ✅ Verified Review | Sydney to Auckland. LATAM is using a wide-body jet on this route and thus offers a long haul business class with an appealing cabin design and a 2x2x2 seating arrangement. The seats can be turned into a full flat bed. The service was friendly and attentive. One small, but tasty meal was served: I had a salmon quiche, a salad and a cake for desert. One point I did not like was that the cabin was held rather dark for a short day flight, and it seems that this is controlled centrally in a B787 because the windows are darkened automatically. Overall, however, it was a very pleasant flight and good value for money. "service level is getting worse"
✅ Verified Review | Johannesburg to Sao Paulo. 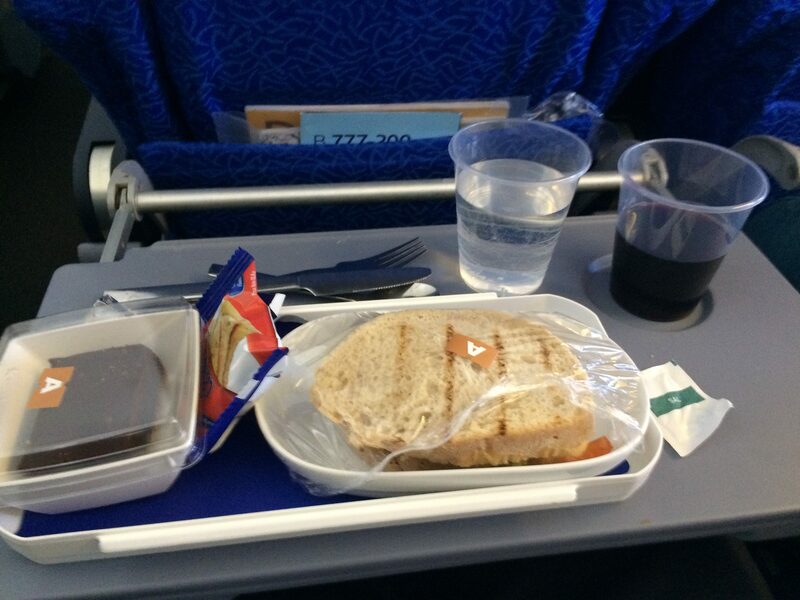 Business Class Meals were below any level. Have choosen for Dinner the Grilled Shrimp with Grilled Polenta and Asparagus. The attached picture says everything, 3 little shrimps and the asparagus have been replaced by two thin green beans. Since LAN took over the former TAM in Brazil service level is getting worse in Business Class every flight I take. ✅ Verified Review | Flew TAM Airlines from Madrid to Sao Paulo. A new airplane, the A350. I was impressed by the friendliness of the cabin crew. The seat was alright, not as cramped as Air France B777 nor as big a TAP A330. The IFE was a big disappointment, as there were very few movies and songs available. It was a night flight and I could sleep relatively well. The food portions were very small. I would fly again as long as they offer better fares. Normally the best value to fly to South America remains to be Iberia. I cannot say my ticket was cheap for economy class. "I would never fly LATAM again"
✅ Verified Review | Buenos Aires to Iguazu. If you fly with Latam arrive at least 3 hours in advance even for domestic flights. I arrived 1hr 45 mins in advance and was put onto a later flight- no explanation, I can guess because the flight was overbooked. I asked to speak to a supervisor to discuss the change and they refused to send me one. The response was 'it doesn't matter you have a flight' - I suggest it does matter, this has now affected my onward journey. After getting my boarding card, I had to join a two hour long check in queue. I have flown from many airports across the world, this by far is the most chaotic,stressful and experience. The staff are unhelpful and verging on rude. If I had the option I would never fly LATAM again. "enjoyed nothing about this flight"
✅ Verified Review | One good thing about this experience, the cost of it. Ticket from Sao Paulo to London was cheap. You really get what you pay for. 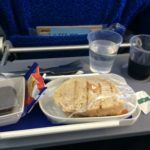 Enjoyed nothing about this flight, uncomfortable seats, average service, terrible food. Flight arrived on time at least. The merger of LATAM has done nothing to improve TAM, I had hoped LAN would make improvements, I am yet to see them. Avoid this airline where possible. ✅ Verified Review | Buenos Aires to Salta. Check in at the airport for the outbound flight was chaotic. When I asked the Latam agent what the problem was she replied "What do you expect, its vacation season". All of this hour and forty minute wait, despite having checked in online the day before. No bag drop available. The flight was then delayed almost four hours. To Latam's credit, we were given a voucher for a sandwich and soft drink. Once on board, wasn't expecting smiles but was expecting apologies from the captain and crew for the delayed flight - never happened. Food for sale on board. Purchased a hot tea which was tepid and not worth the price. The return flight six days later was on time.